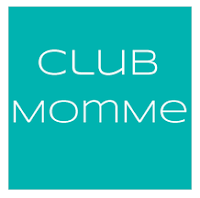 This Wednesday night in Brentwood Club MomMe is hosting a Bump Beauty & Style event for Pregnancy Awareness month. Co-hosted by special guest Anya Sarre, moms-to-be will learn how to pull off a 2-minute makeover, adjust a wardrobe for those curves that keep on curving, and pack a diaper bag without the kitchen sink. It's not easy, but Club MomMe has gathered up all the professionals in LA to help make the transition into motherhood a little easier, with a lotta glamourous. And then let's not forget one of the most important elements of the night, the mocktails! These virgin drinks are being created by yours truly using the ever-so-popular Plum Organics and a few other special ingredients that will remind you of the real stuff. Hang in there ladies...nine months will go by quickly (and the transition from mocktails to cocktails is the smoothest). Buy your tickets right here, right now, and spend the evening celebrating all things motherhood.